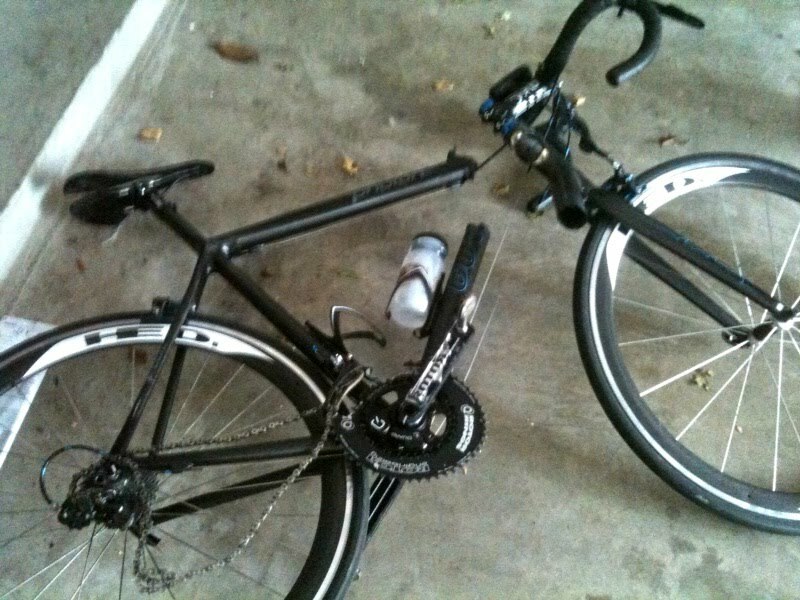 Looks like the bike's laying on a parking-garage floor. Funny, I just saw this on RBR this week. this happened in Houston this summer - as I understand it - rider was out on a quick lunchbreak training ride and ran into back of a parked car or truck.